A group accommodation with spa is a luxury that everyone will enjoy. If you want to organize a weekend with family and friends, or a reunion that everyone will talk about for a long time, then a spa holiday home is a good idea. What could be better than relaxing in a private sauna, jacuzzi, or hot tub? How about enjoying the luxury of a private indoor pool or heated outdoor pool? A large holiday home with spa facilities is a pleasure for both young and old. During a group holiday with the whole family or group of friends in a luxury holiday home with a sauna, jacuzzi, or swimming pool, you do not have to do anything at all. De-stressing, unwinding, and recharging your battery is of the utmost importance. The group accommodations with spa facilities in our selection are varied, both in terms of maximum group sizes and their facilities. You can make it as simple or as luxurious as you, or the group, want. There are spa group homes for rent for 10 to 50 people, often including a swimming pool — indoors or outdoors — a hot tub on the patio, and a sauna in the house itself. Need some rest and relaxation? Book a holiday home with hot tub. 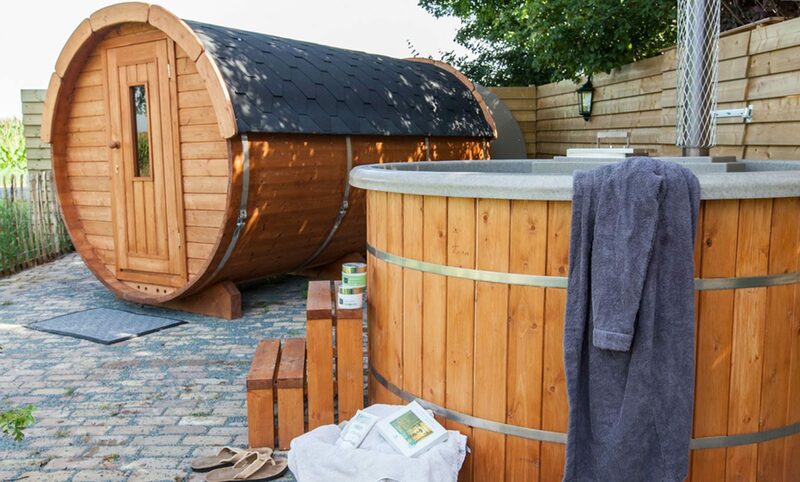 Many group accommodations with wellness have a hot tub in the garden. Great for warming up in winter and enjoying the long, warm summer evenings. Imagine: after a long day out and about you come back to your holiday home. The hot tub is ready and warmed up and in no time, you're relaxing in the hot tub with your group. Children also love a holiday home with hot tub. Our holiday homes with hot tub in the Netherlands are tastefully and luxuriously furnished inside. Plenty of relaxation to be found here. 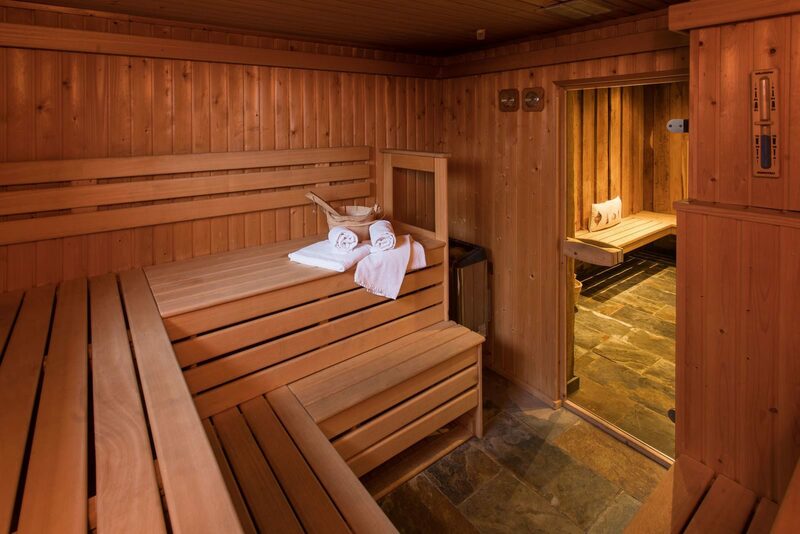 A group accommodation with sauna ensures your group will enjoy the ultimate relaxation. And that's exactly what a family weekend, reunion or trip with friends should be all about. Enjoy the warmth after a walk or challenging activity, unwind and recharge. Wouldn't that be delicious? Looking for a holiday home with Finnish or Swedish sauna, steam sauna or infrared sauna? Our selection of group accommodations offers plenty of choice. There are various lovely, large holiday homes with sauna available in the Netherlands, Belgium and Germany. And know what else is great? There is no need to share the sauna with anyone else. Just take your time and no need to go home at the end of the day. Choose to stay at a holiday home with private swimming pool and relax in the summer sun. Unwind in your holiday home's private swimming pool after a day out and about. When the temperature rises, just take a dip in your swimming pool. Take your partner and kids, or take the whole family. The kids will love a holiday or weekend away at a holiday home with private swimming pool. There will be tons of fun to have. What luxury! The holiday homes with private swimming pool we have on offer are completely furnished in style and are mostly located in the countryside, in the middle of nature, for plenty of privacy. If you're looking to make your stay something special, choose a group accommodation with private swimming pool. Large holiday homes with spa facilities guarantee a relaxing stay with a lot of luxury and comfort. The group accommodations are mostly located in rural and natural areas, and they are detached, which gives you a lot of privacy. Spend the night in an authentic farmhouse in Limburg, an attractive country house on the Veluwe, or cross the border for a luxury villa in Belgium or a monumental half-timbered house in Germany. Our large holiday homes for groups make for excellent stays. The holiday homes with private spa facilities in our selection are stylish and completely furnished. Think of a Finnish or Swedish sauna, a steam sauna, or an infrared sauna. In many cases, a jacuzzi or hot tub is also available on the patio or in the garden. For those who want to make their group outing extra special, choose a group accommodation with spa facilities.